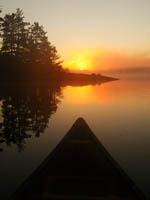 Canadian Canoe Routes • View topic - Phone Photography, Can I get great shots on my phone? Phone Photography, Can I get great shots on my phone? Post subject: Phone Photography, Can I get great shots on my phone? Post subject: Re: Phone Photography, Can I get great shots on my phone? Great shots depend on lighting more than equipment .. The great shot is missed if you don't have a camera with you.. I got some stunners in Iceland. As I don't use photo sharing sites I can't post them here. Some amazing tech in those smartphone cameras... explains why DSLR sales have been almost halved over the last five years. Mirrorless sales are also down although not by as much. Really, really sticky tech, that smartphone. Nice pix, JJ! Nice post! I just picked up a Huawei P20 Pro and am blown away by the photo's it takes. Certainly doesn't stack up against a full frame camera but you can't beat the portability and decent quality of these phones nowadays! Any favorites in the $300 and sub category, not for camera but enough to run nice map, gps thingie, that sort of thing. A less annoying than usual android? So I can't tell you what maps work on what phone. Most modern phones will have a GPS chip so your location will appear on a map, accurate to maybe 10-20 m. Avenza provides free top maps and Jeff's canoe route maps for Algonquin, Kllarney, etc are also free there. Or buy a greater variety of maps from Canada Topographic or another map provider (Jeff's maps not included IIRC). The how-tos are in the Maps etc forum here. I went with an Android Motorola Moto G5 after it was recommended personally for best value... and subsequent googling around showed similar recs along with some reviewers' tests for water resistance (takes soaking underwater for a minute and still works) and rough use. The price was $250... you can probably get away with something much cheaper if you don't need the latest hi-teck geegaws. I've been using plain old paper maps and compass as well to get around in the past and never got lost but GPS could have made things more certain a time or two. At home the phone's a backup camera (a waterproof point-and-shoot is far more comfortable to use, and compact) and another backup for the computer should it fail, using wi-fi. Also maybe stuff like casting movies to a TV, again with wi-fi. New phones now are mostly 4G phones, LTE, and with nest-generation 5G coming in a year or two, it should bring greater performance depending on how the much-anticipated 5G promises work out. I'll probably wait until then to upgrade. My phone's only had one really hard drop onto a sidewalk and it survived in the protective case I got for it so maybe it'll last. PS... I really don't know anything about phones, if it sounds like I do, I'm faking it. Reading some online reviews and recs on what to look for in a phone is probably your best bet (eg. like googling on best value phone)... then buy one and you might be surprised by how simple it all is. I got both the samsung and Huawei for the cameras and the other stuff was just bonus. The camera reviews and results I saw on line where a major plus. With the way DSLRs going stupid in price and less & less lenses being able to go to your new camera it just did not make any sense to keep chasing that rainbow. I have seen some amazing bird shots done with phones and spotting scopes. I like the hobby of photography but the camera companies are just sucking the life out of that.